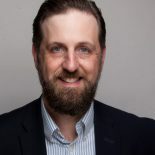 In addition to this blog, I also run AuditioningForCollege.com, a site full of resources for prospective musical theatre majors. Last week I posted an article about the best school for musical theatre (spoiler alert: its the one that is best for you). It was posted on a Facebook voice teachers group and a lot of great conversation points came up. This article is in response to those conversations and will hopefully bring a little more clarity about the process for those of you who work with students interested in pursuing a BFA, BA, or BM in MT. There are three types of degrees in musical theatre. The BFA and BA are usually housed in the theatre department, while the BM is usually in the music department. The lines are pretty blurry anymore. It used to be that BM programs had more theory and history while BFAs had more theatre and dance. BA programs used to be considered more of a generalist degree, but now there are several BAs that are nearly indistinguishable from their BFA and BM counterparts. At the end of the day, the curriculum is more important than the type of degree. It depends, and that is part of what makes this process so hard. On the classical side, you know that everyone is looking for the right notes and rhythms, good diction, good intonation, and expression. However, in the MT world, some faculty think dance is more important than anything else. Others want a good actress first. Some think you need to sing classically to belt; others really dislike voices that have any classical traits. The list goes on and on. The thing I think we would all agree on is that we want a flexible student who is willing to take risks and do the work. At highly competitive programs, we want students that we believe will have a high-level professional career. Most, but not all of the time, the ideal student has already had many years of training in dance, voice, and acting. If they do not have formal acting training, they have probably done a lot of performances outside of their high school. At lower competition programs, the faculty may be looking for someone who is good in at least one of the three areas (voice, dancing, acting) and seems trainable in the other two. They are more likely to be interested in students who may not have a lot of experience but are willing to work. The programs in the middle of highly competitive and lower competition schools are often looking for a wide range of students and are the hardest to figure out. They may be more willing to teach an actor or dancer to learn how to sing if the rest of the package is together. They may be looking to up their dance quality in a given year and will, therefore, skew more towards great dancers than great singers. However, the following year could be very different. While difficult to know what they are looking for, this is the tier that all students should include in their lists. There is always the chance that a student with no prior training but a lot of natural “talent” will be accepted into one of these schools. At the same time, students who think they want to be at a highly competitive school will often find that schools in the middle offer everything they want without all of the pressure. Another important fact to consider – not every panel includes a voice teacher. At many schools, the program director is solely in charge of recruiting. That person may or may not be a singer, but 99% of the time they are an actor. So always make sure that any song your student sings is well thought out with clear objectives, obstacles, and tactics. They should have read the script, listened to several recordings, and, if asked, be ready to talk about the character and how they personalized it. They also need to be ready to take an adjustment and be willing and flexible enough to jump right in and try a different approach. I cannot speak for everyone on this, but I do know a lot of the faculty on audition panels through various professional organizations and campus visits, and I believe I have a good idea what most instructors are looking for in the audition room. In general, faculty want to hear a student who sings on pitch, sings with appropriate musical styling, and tells a story truthfully through imaginary circumstances. They do not want to hear “screlting” (belting that sounds more like screaming) and they do not want to hear weak breathy singing. Most are also concerned about vocal health. It does not mean that a student with vocal health issues will not be admitted, but if the student sounds unhealthy and resists any conversations about raspiness in their voice, it can be a red flag. This is why all students should sing something that fits perfectly within their range and does not push musical or emotional extremes. In the classical world, young students often want to show potential. While that may be fine for some of the less competitive MT schools, for moderately, highly, and extremely competitive programs the student needs to show perfection. Perfection does not mean the song is difficult. I personally do not need to hear anything higher than a D5 to know a young lady can belt. The only time you should show me higher notes is if you can absolutely nail them. I mean cast recording quality nail them (or at least close to it). What perfection means is the student has taken the time to master the piece they present to the faculty. There are simply too many students auditioning to show us a work in progress. In general, do not use the Singer’s Musical Theatre Anthology to pick songs written after 1990. The songs of the Golden Age (~up to 1970) are classics and usually not considered “overdone.” The books have a decent selection of songs from the 70-90s, but there are a lot of other options available. After the 1990s, anything from the anthologies is likely to be sung by too many other people, making it fall in that category of “overdone.” For their audition, students need to have their (purchased) music in a binder and the cuts must be clearly marked. MusicNotes.com offers printable sheet music and is a legal way to do this. There should be a table of contents at the beginning of the binder with corresponding tabs marking each song. The student should always have extra songs in their book – usually 6-8 songs total. It is not uncommon for the panel to ask for another song to explore other parts of the voice or a different approach to storytelling. The extra songs need to be in as good of shape technically and dramatically as the songs the student begins with. It is also smart to have at least one pop/rock song that is not from a musical. If they ask for a pop/rock song, they are usually looking to see what the student does when not thinking about vocal technique and/or how they present themselves when they are not trying to portray a character. Therefore students should pick a song they love, that they would sing along to in their room or car, and they should deliver it as themselves just having fun singing. taking off jackets/shirts and throwing them in the middle of a song. I am not kidding – I have seen every one of those things happen in an audition in the last ten years. So what is the deal with “overdone songs”? If the song the student chooses “Glitter and be Gay” or “Vanilla Ice Cream” for the sole purpose of impressing the panel with their vocal chops, it is usually a big turn off. Faculty want to see singing actors, not singing machines. Experienced performers can nail both the technique and the acting in the performance of these type of songs, but that is less common in high school. The best way to find a song is to follow this process I wrote about on AuditioningForCollege. It is critical though that the student is the one who does the work. This exercise is really about them discovering where they might fit in the business. If they are not willing to do the work, they really need to think about other majors. I do not say that to be rude, but honestly – if they can’t get excited about listening to a bunch of musicals to find people like them, they are going to really struggle to get through an MT degree. If they do not do the work when you ask them to, it opens the door to have a conversation about the work ethic necessary for a professional career in this field. Many kids want to audition at schools who review 700 to 1,000 auditions to pick a class of somewhere between 8 and 24 students. With that many applicants, and acceptance rates lower than Harvard medical school, it does not make economic sense to visit all of the schools a student is interested in. Yes, it would be ideal for students to visit schools first to see if it is a right fit before auditioning, no one disputes that. But the market right now is dictating the way we handle things, and with thousands of students all trying to get into the same places, it no longer makes sense to approach it that way. On a practical note, it is impossible for the faculty to accommodate that many visitors per year on campus. Many will try, but if they are unable to, it does not necessarily mean they are not interested in the student, it likely means they are overwhelmed with requests. Luckily a lot of MT faculty travel around and do workshops at various performing arts high schools, festivals, and summer programs so students can get a good feel for their personalities and approach to teaching. What I recommend is that instead of visiting specific schools, students should visit a variety of types of schools. For instance, I suggested they visit a major university, a mid-sized university, and a small liberal arts school in the area they live. That will give students a good idea of what type of atmosphere they like. When they have been accepted, they should absolutely go visit the school. But until then, the student should save their money – they are going to need it for auditions. How many students audition each year? According to a colleague who works at Carnegie Mellon, they had 3,000 applicants last year; and not everybody applies to Carnegie Mellon. My guess is there are at least 4,000 students all vying for spots in ~140 musical theater programs. If on average those schools take 18 students, that means there are 2,520 spots available each year and therefore ~ 1,500 students will not be admitted to a program. I think 2,520 spots may be a huge overestimation. According to NASM and NAST, there are 87 accredited programs with an enrollment of 3,057 students. There are many programs that are not accredited by either organization. If you take the same average number of students per program and multiply it by 140, you get 4,919 total enrolled students, which is why I believe there are less than 2,400 spots available for freshmen. How many schools should students audition for? Students need to pre-screen/audition for at least 10 to 15 schools in order to have a shot of getting into just one. This is especially true if they are targeting all of the highly competitive programs. For those targeting schools with less competition, you can likely do a few less auditions. Because admission to most MT schools is competitive, you don’t really get to pick where you go to school most of the time, the school picks you. I have worked with many incredible students who were only accepted into one program. I have also had students get into CCM and get in nowhere else. It is also important to remember that voice is just one component of many when the schools are choosing. Dance is very important for two reasons. First, there are plenty of potential students who can dance really well so the marketplace can easily be whittled down by eliminating those who don’t dance. Second, and most importantly, in order to break into a tour or a Broadway show, performers will often begin in the ensemble understudying a leading or supporting role. If the student cannot dance well enough to get into the ensemble, it doesn’t matter how well they sing or act. Some programs are looking for specific types and will not take a short guy if they already have several short guys in the program. Some want students who all have a specific look, others prefer those who are not “cookie cutter” students. Neither is right or wrong, just different. And then there are special skills. Students who can do gymnastics, play an instrument, speak another language, etc. are at an advantage if all other things are equal. Some schools have high academic standards for admission and even if the student gets accepted to the musical theater program they may not get accepted to the school. It is because of all of those reasons that I recommend auditioning for 10-15 schools. I know it is too much, expensive, and unfair to lower-income students (I was a low-income high school student myself so I am very sympathetic to this). However, from past experience, I know that the kids who audition for 10-15 schools usually get into a program or at least on the waitlist for one. They may not get into at “Top 10” program, but the industry will guide them to the right fit for them through the audition process – the place that has the faculty and resources to help them grow. In my experience, students who do less than 10 auditions often find themselves without a program and have to take a gap year or choose a different path. There are a number of ways students can audition for multiple schools at once. The National Unified Auditions bring around 20 schools together in NYC, Chicago, LA, and Las Vegas. You can usually only audition for one program in the morning and one in the afternoon each day, but it is a great way to cross several schools off your list in one location. You could also do two of the three cities and audition for 8-16 programs, or all three and audition for all of the schools represented by the organization. 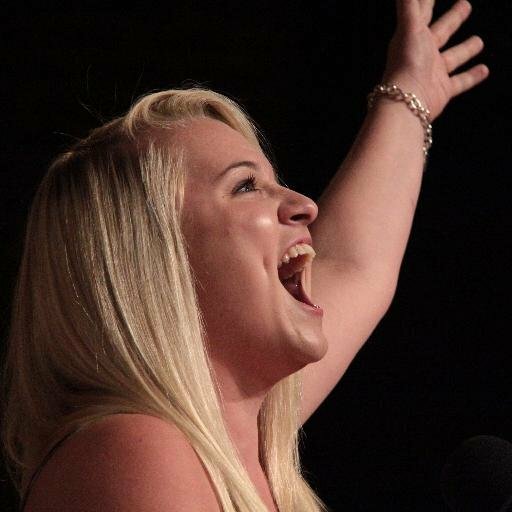 The Southeastern Theatre Conference has a high school audition event each year. Students perform a 90-second package (song and monologue) for around 50 different schools all sitting in the same room. The schools then call students back to talk to them about the program, ask them to come to campus, to waive their prescreen, etc. Some schools even offer admission and scholarships based on the audition. Juniors and Seniors can audition at this event, but since many schools have finished auditions by the end of February, the event is most advantageous for juniors. The International Theatre Festival is another event similar to SETC that is worth exploring. CAP United Auditions in Atlanta, GA is brand new this year, and the Moonifieds in Dallas, Texas has a great reputation for helping students find the right fit for them by bringing multiple schools to one location. There are also several other events in the works, so keep an eye out for new opportunities like these in the coming years. One final note: because of how difficult this process is, there are audition coaches that help students get into college for musical theatre. They can be extremely helpful, especially if the student does not have a local support system. If your student’s parents are willing and able to pay for a coach, go for it. If you use a national coaching firm, the student may be offered and/or required to take lessons or coachings with one of the firm’s staff. These pros have watched hundreds of students get accepted into every musical theatre program in existence. They know what each university is looking for and you should highly consider their advice. I have never seen any completely wrong suggestions from these coaches. If a student can afford it, these professionals can make the whole process much easier for you and your students and significantly improve their chances of getting in somewhere. I do not have all of the answers and there are a TON of shades of gray in regards to everything I have written. However, I believe it is better to start a conversation and welcome different points of view than stay silent and let people figure it out on their own. If you have other thoughts, even if contradictory, feel free to share below. All I ask is that readers interact with each other respectfully – there are a lot of people with different ideas who are successful in this industry. I am sure there are many other questions you may have that I have not addressed. If you post them in the comment section below, I will do my best to answer them. If you found this article useful, please share it on social media to help spread the word. You can also subscribe to the blog using the form below to receive an email each time there is a new post. What is your thought Matt on transposing a song down a 1/2 or whole step? Is it just more acceptable for the student to pick songs that they can sing in the original performed key? It depends. The easiest way to determine is to start listening to all the cast recordings and bootlegs to see if everyone performs the song in the same key. If they don’t, go for it. If it is a song known for its iconic high notes (i.e. Defying Gravity), you can’t change it. The rule I have heard from Bob Marks (NYC coach), is you can transpose up to three half-steps as long as it does not change the feel of the song. If it is noticeable, don’t do it. If you do go for another key, buy it from MusicNotes.com. This entry was posted on September 14, 2018 by Matt Edwards in Misc. Thoughts. 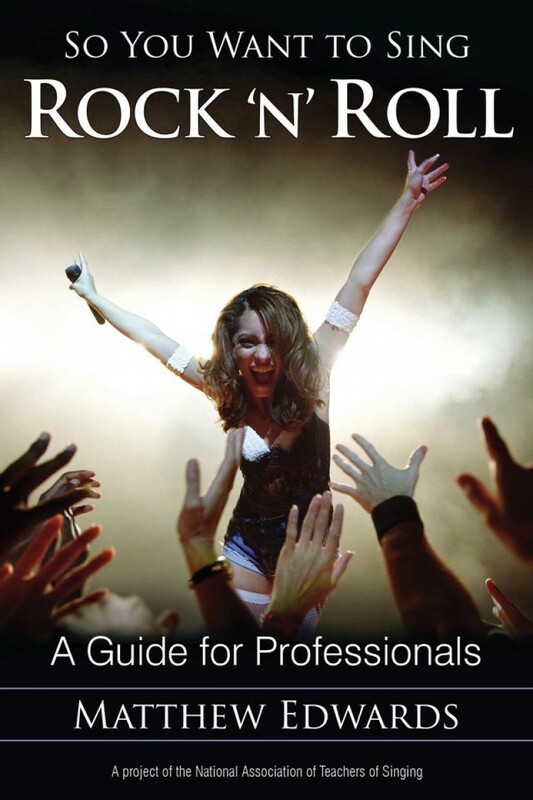 Ranked the #1 New Release in "Vocal and Singing" on Amazon.com (October 2014), "So You Want To Sing Rock 'N' Roll?" covers voice science, vocal health, technique, style, and how to find your artistic voice in a way that is beneficial to both singers and teachers. Order your copy today!